Sunbelt Staffing is seeking a Speech Language Pathologist to provide a full range of services in a school setting. Students will vary from K-8th grades and a full range of disabilities and may support 1-2 schools in the area. 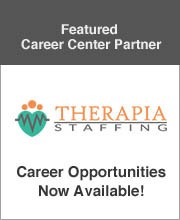 I am currently seeking a (SLP) Speech Language Pathologist job for a school near Woodstock, MD working 25 hours a week. We are looking for a (SLP) Speech Language Pathologist with school base experience, and helping children in the Autism spectrum. We have a great Speech Language Pathology Job just north of Oklahoma City, OK for the next school year!